Rugs from Kerman - a desert city far away from Tehran - were once considered to be the best of Persian carpet production. Today's quality is no longer comparable to that of the city that was founded in the 4th century. 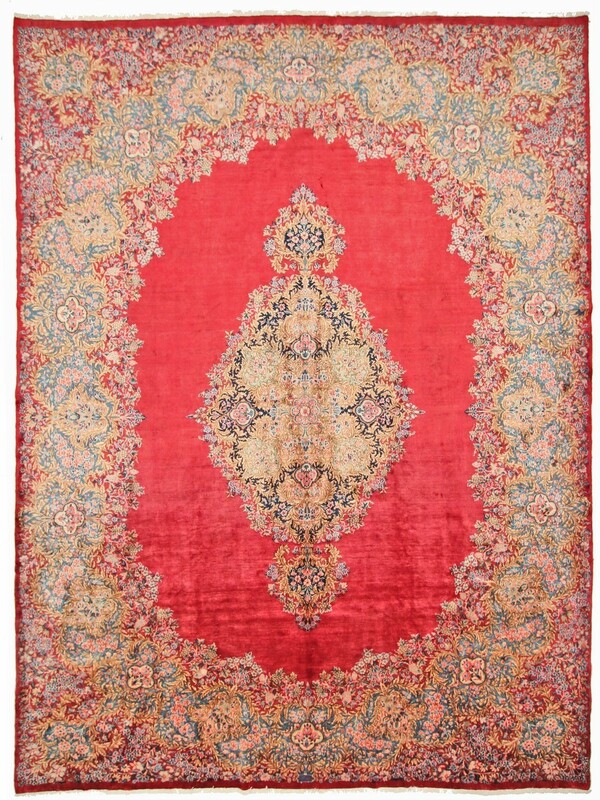 However, one must not forget that these Persian carpets are still in the highest class of hand-knotted carpets. 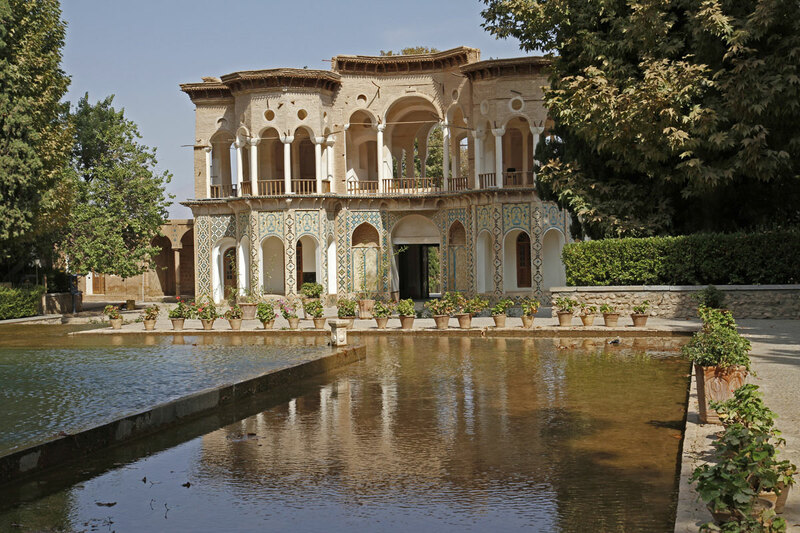 The city of Kerman was once one of the most important trading places for travelling traders from or to India. Today, carpet knotting is still a central part of Kerman's culture. The dominant colour of Kerman rugs is usually vivid red, which unleashes its full intensity in combination with tones like beige. In addition, there is often a medallion in the middle of the carpets, which is framed by playful floral patterns. Thus, the design gives a colourful life to the carpet. The pile is made of high-quality sheep's wool, while the warp and weft are usually made of cotton. In terms of knot density, Kerman carpets are in the midfield compared to other Persian carpets (beginning at 160,000 knots per square metre). 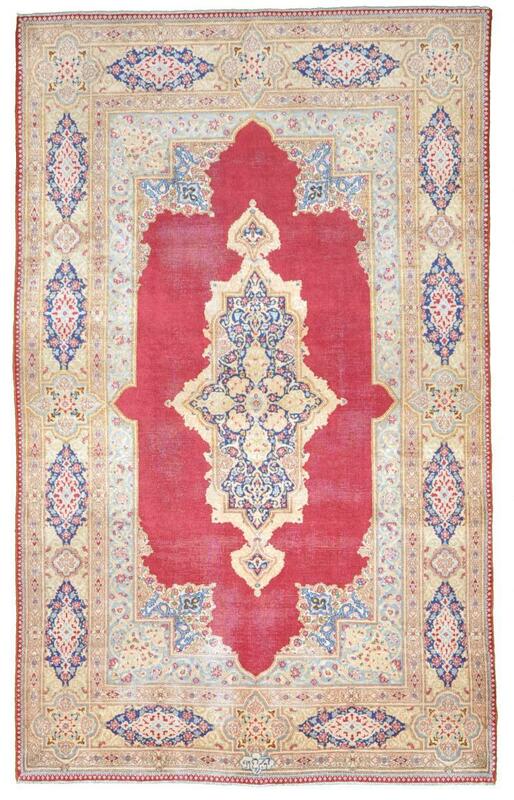 These rugs have been provided from an assortment of over 350 Kerman rugs by Nain Trading from Hamburg. Hamburg, Germany is still the most important hub for the trade of oriental rugs in the Western World with Nain Trading offering one of the largest assortments of handmade oriental carpets worldwide. Location - where do I find Kerman? 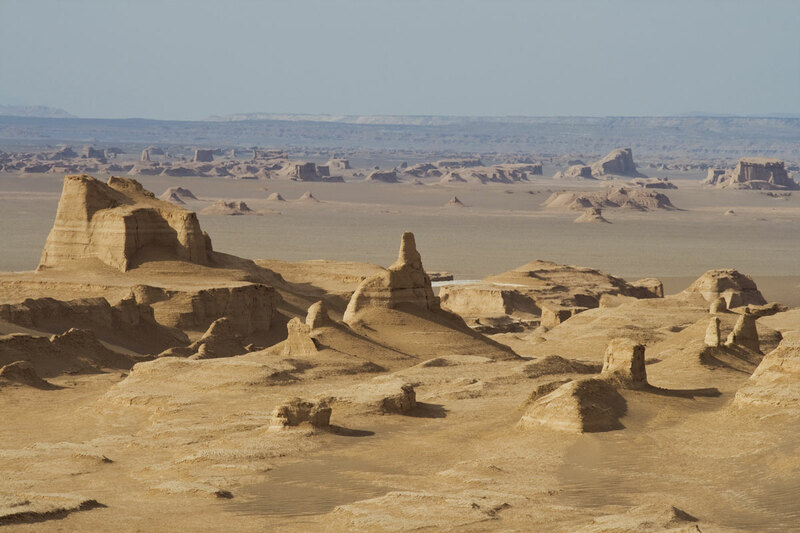 The famous city is located in the desert Dascht-e-Lut.